The last post, “Living In The World” discussed the issue of how Christians should engage the world. Should Christians avoid the world completely and retreat to Christian communities with separate music, entertainment, and shopping. Or, should Christians become more fully apart of the world in order to influence the world for Christ. 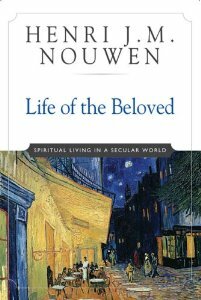 Based on the work of Henri Nouwen in his book Life of the Beloved, we argued for an alternative plan based not on rejection or embrace, but in learning to live in the world but not be controlled by the world, not belonging to the world. This is achieved when one becomes convinced of the truth that they are the beloved of God, and when this truth becomes the driving characteristic of one’s life, individuals are able to live in such a way that the world does not own them. So what is the Christian’s purpose in the world? How will living in the world as if the world does not own them make any type of difference for those one comes into contact with? Precisely by becoming a counter narrative. The dominant culture portrays a certain set of ideals. A set of ideals in which the strong and powerful win. A set of ideals in which the pursuit of money is a major driving motivation. A set of ideals in which it is fine to use others for your own purposes. Yet the way of Christ is a counter-narrative. The way of Christ calls us to love our enemies and pray for them. The way of Christ says that the world is changed for the good not by embracing power but by embracing service and sacrifice. The way of Christ says that the love of money is the root of all evil. The way of Christ preaches the foolishness of the cross, and that even though it doesn’t make sense, it is specifically through dying on the cross that Jesus triumphed over the powers that enslave the world; and as Christians we are called to take up our cross and die every single day for the good of the world. That is the counter narrative that the world needs. That is our calling as participants in the Kingdom of God, joining God in his mission to the world. Again the words of Nouwen are helpful. The way that you influence the world is not by starting a Bible study at work, although that is a wonderful idea. The way you influence the world is not by listening to Christian music in your car or at your desk, although that can be a powerful statement. The way you influence the world is not by putting a Christian Bumper Sticker on your car, even though that may spread the message. You influence the world by being a counter narrative. You influence the world by working your job and living your life in a way that shows the world does not control you. You influence the world by not succumbing to the pressure to grasp power and control, to pursue monetary gain at all cost, to sacrifice your family for the sake of your job; and by remembering that you have been sent into the world for a purpose. Because the very people you come into contact with everyday; family, friends, coworkers, competitors, and any number of other random people you meet are all searching for something. They desperately want to know what will fill the ache in their heart, the sense of loneliness or the sense of meaning. And you have been sent into the world as one who understands the truth that they are the beloved of God so that you can give others a glimpse of real life. Just like the classic character of a fool in many stories who is not taken seriously by the main characters but actually speaks the truth that the characters need to hear; you and I have been sent into the world as a counter narrative to speak a truth that the world desperately needs. To give those who are searching a glimpse of real life.